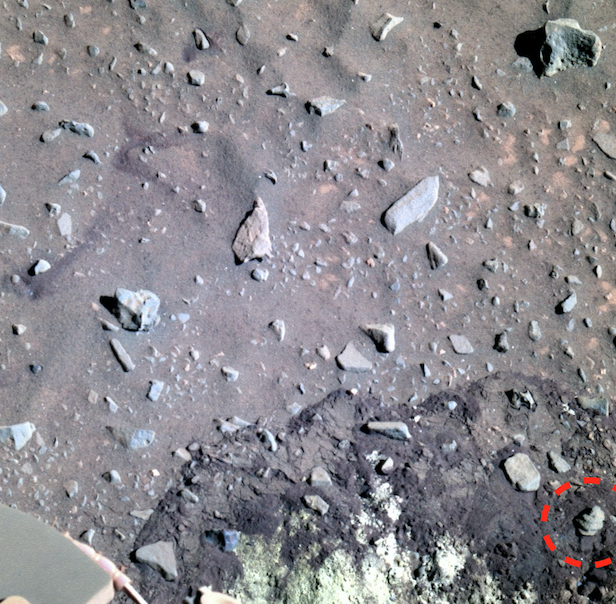 UFO SIGHTINGS DAILY: Ancient Seashell is 100% evidence that life existed on Mars, Spirit Rover Photo, Dec 25, 2017, UFO Sighting News. What happens when a NASA rover, like the Spirit rover, digs in the Martian surface and out rolls an ancient sea shell two inches long? Nothing apparently, because NASA chose not to tell the public about it, as if it never happened. 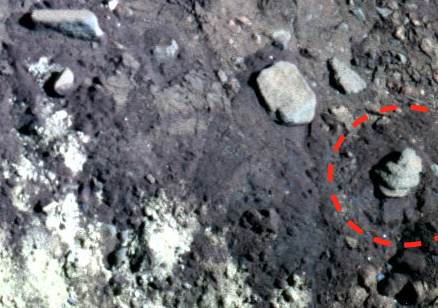 You can see that the surface below this area was dug up and the sea shell rolled out over the wet ground. 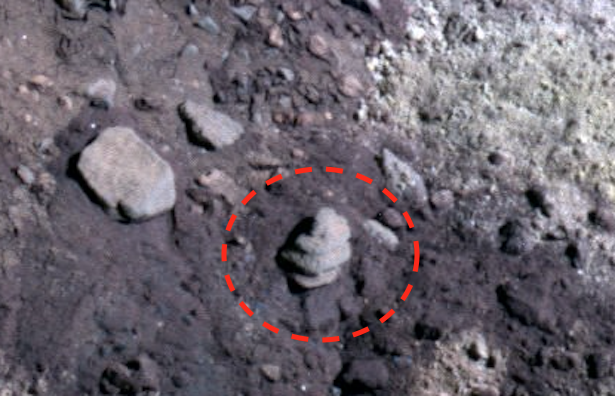 Such a sign of ancient life would be world news, had NASA announced it. 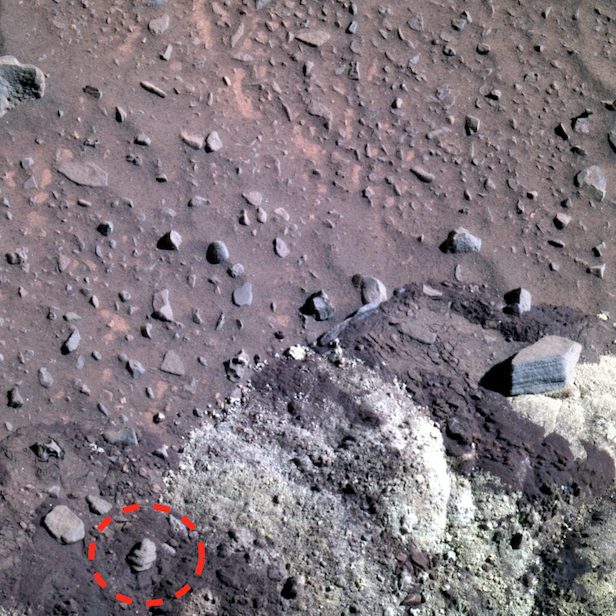 However, this is just another sea shell that I have found on Mars, which will go overlooked and soon forgotten. Seashell post #2....click here to view old post. Sea shell post #3...click here to view old post. Seashell post #4...click here to view old post. Seashell post #5...click here to view old post.